This article was originally posted on Nao. Note that it includes graphic imagery of recent worker suicides at factories run by Foxconn, the contract manufacturer responsible for the production of iPhones and other popular consumer electronics. We repost it, with graphic images included, in order to bring to light the inherent violence on which our current world is founded. Liberals might scoff when we call capitalism a “slaughterhouse,” but the events documented below are precisely the type of brutality that we speak of. As in any war, the censoring of violent images sanitizes the procedure, ultimately assisting the powerful few for whom such wars are waged . We repost this to remind our readers that class war, like any war, has its dead: and that share our hearts with the dead. The original article is available here. The last graveyard of our youth. In 2014, on the eve of China’s national day celebrations, scenes recalling those of four years ago appeared in Chinese headlines. Foxconn became known to the world four years ago when thirteen of its young workers jumped to their deaths in quick succession. The death of young Foxconn worker and poet Xu Lizhi reminded us that in this Fortune 500 company that produces some 40% of the world’s electronics, the cruelty and hopelessness of workers’ situation has not changed. But most of us are unaware that Xu is not alone. At least five other workers, and likely more than that, have joined him this year. Many other workers have taken their own lives since the famous 13. Despite the fading of media attention after 2010, and the dramatic improvements in Foxconn’s public image work, the unnatural deaths have never stopped at Foxconn. This year, in addition to Xu’s death, there have been reports of five other suicides, one attempted suicide, and one case of sudden death where the exact cause is not yet known. These are certainly not the only unnatural deaths at Foxconn this year. According to Foxconn CEO Terry Gou, the suicide rates at his company are lower than the national average: they are normal. He hopes we will not notice that these are 20-something workers in the prime of their youth—that this group of all groups should not be ending their own lives. What does it mean that so many young people, whose lives should be full of hope, are committing suicide? No matter what you think of Guo’s claims, the conditions at Foxconn are representative of the fate of young workers today: alienation, mechanization, and desperation. Other than Xu Lizhi’s death, not a single other Foxconn suicide this year made it into either the Chinese or foreign mainstream media. This is largely due to Foxconn’s successful cover-up work. Foxconn continues to not take workers’ deaths or lives seriously. In July 2014, one young male worker by the name of Kang jumped from the Longhua factory complex’s Baimingyuan dormitory building. Many workers were aware of this incident—there were many onlookers at the site and pictures circulated on social media—but no mainstream media deigned to cover the event. In a few cases, reports on Foxconn suicide incidents on major media websites have been known to disappear in a few hours. Foxconn has mainstream Chinese media under its grip, and thus the news does not easily make it out. Furthermore, Foxconn successfully controls release of information about suicide cases, deflecting even requests from relatives. When worker Kang’s relatives arrived at the factory on the 28th, but they were unable to dig up much information about their son’s death. The factory offered them a mere 20,000 yuan in “humanitarian compensation.” They returned a number of the deceased’s possessions to the family, but the family suspected the phone had been tampered with, as for several days before the date of the suicide, it displayed no records whatsoever. The family also requested a record of their son’s punch in punch out times and his overtime record, but the factory refused. During its negotiations with the family, they claimed to not even know which department the deceased was working in when he committed suicide. 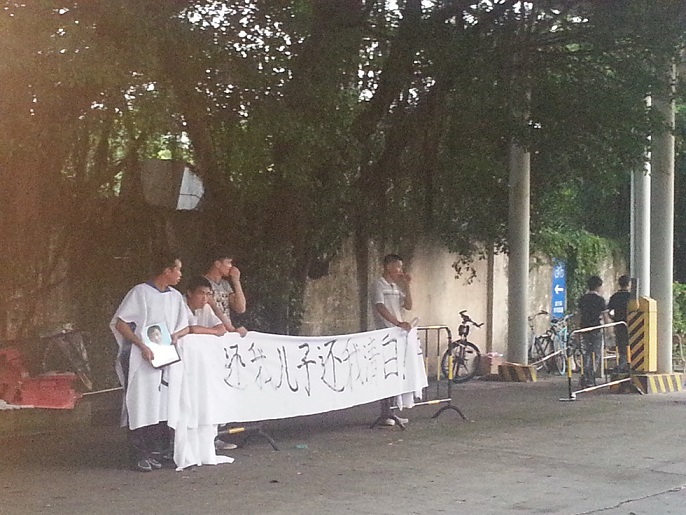 Furthermore, the QQ wall of the deceased had been taken down. Family that had access to Kang’s QQ wall were unable to find it: it did not show up on searches, as though it had never existed. Foxconn has successfully blocked the leaking of many important details of the case. This, combined with major news sites’ decision not to publicize the case, caused the issues to quickly lapse into silence. Since the 2010 “thirteen jumps,” there have been workers committing suicide every year. Many incidents are widely circulated on social media—and some are even video recorded by other workers. But the mainstream media never reports these incidents any more. The factory’s cover-up and silencing, including its influence over what mainstream media covers, makes it such that we rarely get to hear of these later cases. Below is a record Foxconn suicides we know of. We also include two cases of possible death by overwork. The list is surely incomplete. In the early morning, Liu, a wrker for Foxconn subsidiary Chimei Innolux, jumped to his death. Liu began working for Foxconn the previous month, and was technically a dispatch company worker who had been sent to Foxconn. At the time of his death, he had been sharing a dorm with student workers. 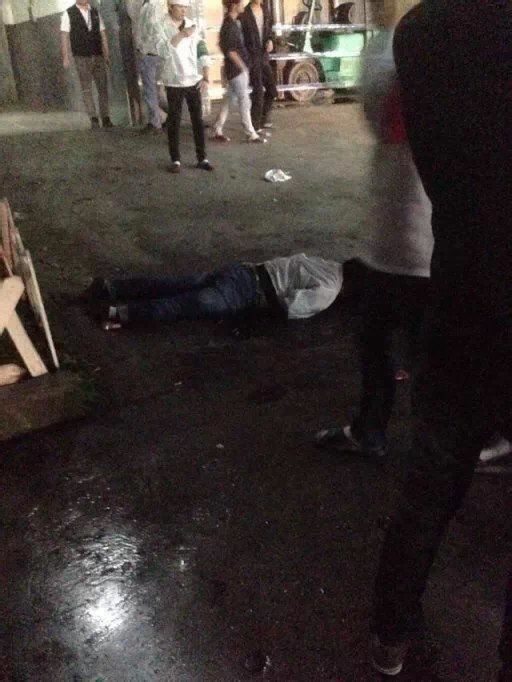 At approximately 3am, 23 year old Liu jumped from a third floor balcony in the Wusongjiang Yichuang dormitories. Liu started working at Foxconn on March 22nd. Her job was to package plastic washers. The last known jump of 2010, making for a total of 16. 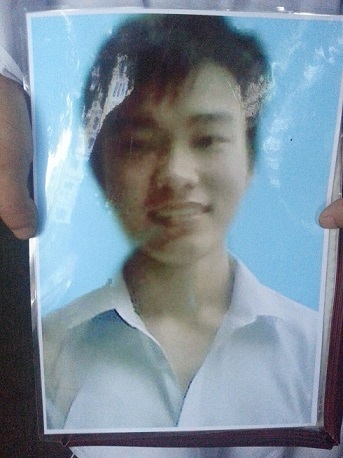 This 23 year old worker jumped from the Guanlan C district dormitories. He had worked at Foxconn for 8 months. Twenty-five year old female engineer Wang Ling, who had worked as an engineer at Foxconn since 2005, jumped to her death from the tenth story of the building where her older brother lives in Shenzhen’s Yantian district. Wang had earlier been reprimanded by the company and order to quit and return home. 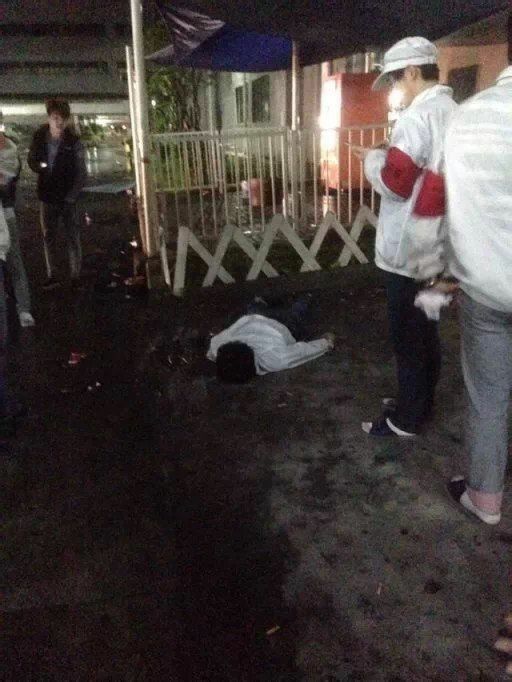 At 1am in the morning, a male worker in his twenties jumped from the fifth floor of the Jingying C4 dormitory. He had died by the time the ambulance arrived. 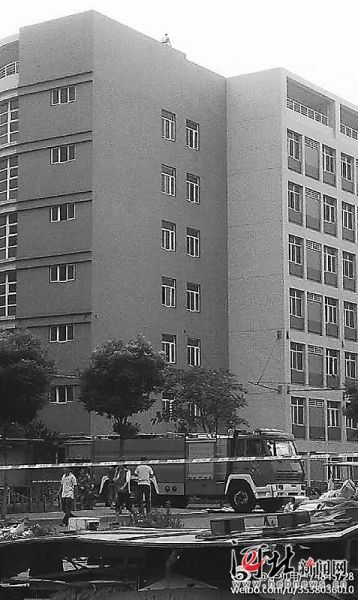 At 3am on the morning of July 18th, a 21 year old male worker jumped from the 6th floor of the Baimingyuan B dormitory. According to family, the deceased was normally “easy-going and obedient.” He had entered Foxconn only half a month ago, and worked as an assistant. 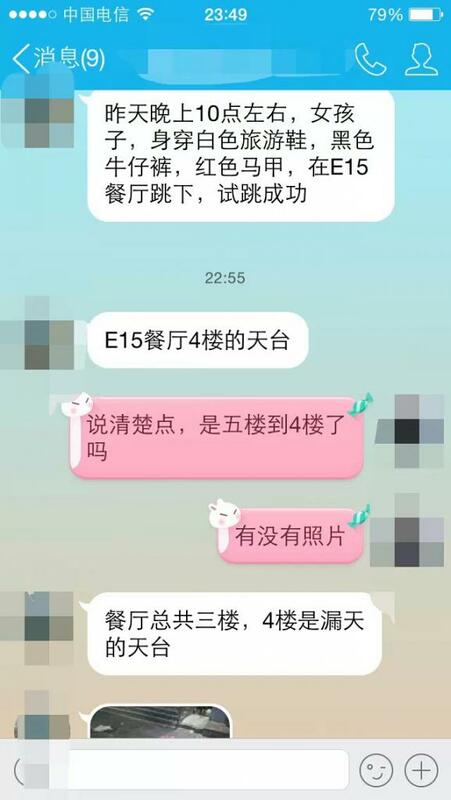 According to a cousin, before the incident, Cai seemed mentally well, and even went to a friend’s birthday party. It is unclear why he committed suicide. On July 19, the day after the incident, reports on this incident were removed from all major news websites. At around 2am in the morning, 18 year-old Li Baoqiang jumped to his death at from the 15th floor of the Xingge B dormitory. Li was from Xiangcheng county of Xuchang prefecture, Henan province. He was a middle school graduate, who had worked previously in Beijing and Guangzhou, and had come to Shenzhen in September of the same year with a hometown friend. He had found himself a job at Foxconn, and called home after he got the job. His family remembers him being excited to work in such a large factory, and encouraged him to work hard and learn whatever he could. Li’s family says he did not have much pressure from home: the family was not poor and could have supported Li, but Li was always independent and insisted on living off his own labor. His family says he was easy-going and rarely picked fights with people. In his spare time, he liked to get online or listen to music and watch movies. The family had not heard of him having any romantic interests, and his QQ wall had no signs of trouble. At 7am in the morning, female worker Li Rongying jumped from Taiyuan Foxconn’s D65 building.She was from Luliang Prefecture, Shanxi Province. The factory claimed Li Jumped because of relationship issues, thus the factory was not responsible. Jia, who had been working at Yantai Foxconn for two months, jumped at 6am on the first day of the 2012 new year from the fourth floor of the A23 building. He worked for the Foxconn’s CCPBG (business group), doing CNP varnish baking. 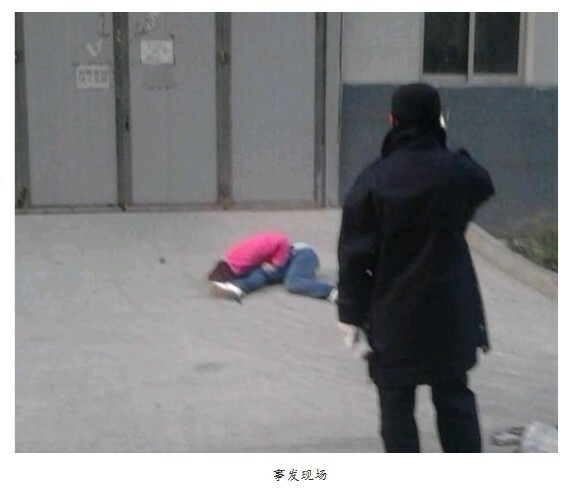 In the early morning, male worker An jumped from Zhengzhou Foxconn’s Yukang dormitories. The deceased was from Xuchang prefecture, Henan province. He was 24, unmarried, with a technical high school degree and had graduate 7 or 8 years ago. According to his classmates, An had arrived at Foxconn on the 22nd for his interview, and had started his training on the 23rd. According to An’s relatives, the deceased was not a reserved person, and would usually talk to his family if something was bothering him. After the incident, An’s relatives repeatedly demanded an answer from Foxconn, but Foxconn never responded to them, and handed the case to the government offices of the Zhengzhou Airport District. Just four days after An’s death, another death took place at the Zhengzhou factory. The two deaths were referred to as the “two jumps.” At 6pm in the evening, a 23 year old Henanese female worker Jin jumped from the 6th floor of Fuxin dormitory No. 9. Jin had been working at Foxconn for approximately half a year. Right before she jumped, Jin had skipped work for three days, which at Foxconn amounts to quitting. Jin did not leave after her three days of skipped work, and later jumped to her death. 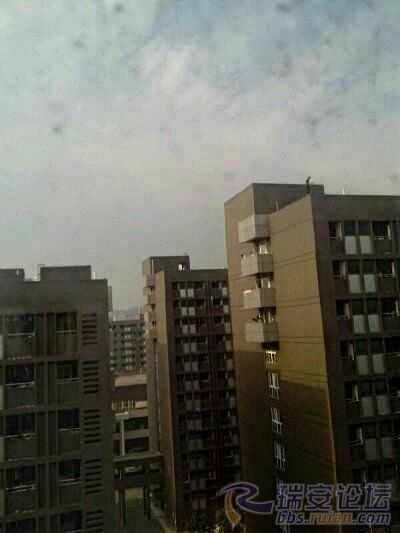 At 4:40pm, a worked by the surname of Xie jumped from the 18th floor of the Northwest dormitories. She had been working at Foxconn for half a month. 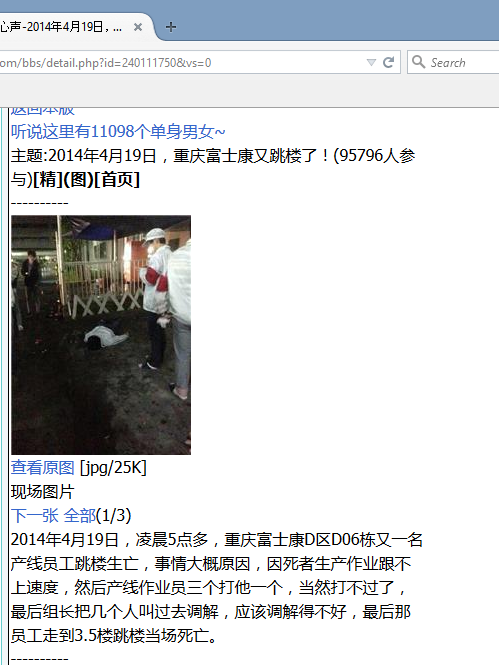 Foxconn worker Yang, from Heilongjiang Province, jumped from the 9th floor of the Hongxiang dormitories at 8:30am. 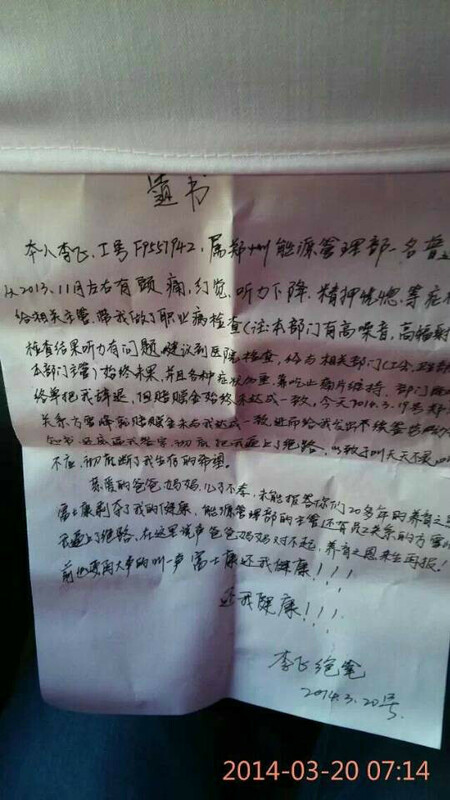 Someone who knew the deceased reports, that morning Yang was cutting his wrists in his own dormitory on the 8th floor. Then he run upstairs and jumped. Li Liangzhu had been working at Foxconn only 40 days when he called home on the 9th to announce to his family that he “didn’t want to do it any more” (不想干了). His family encouraged him to come home if he wasn’t happy. At 5pm the next afternoon, Li jumped from the stairwell window of a hotel near the Guanlan bus station. Li was immediately sent to the Shenzhen People’s Hospital’s Longhua Division for emergency rescue, but rescue failed and Li died at 8pm that night. The family demanded 600,000 yuan in compensation from Foxconn. Foxconn replied it would provide some “humanitarian assistance”, but it would not bear any responsibility. On the evening of the 25th, Chen was at a party with some fellow workers. When the person she liked expressed he had no interest in her, she burst out in tears and jumped from the window behind her. Though the direct causes were personal, the deceased’s emotional state could not have been purely shaped by this single romantic interest. 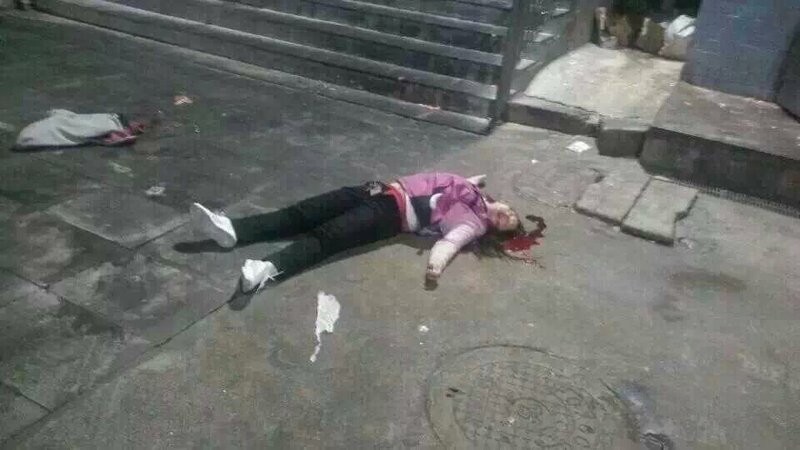 At 3am in the morning, a nineteen year old female worker jumped from Yuhong Shijie Gang building No. 7. Foxconn was not proactive in contacting the family, and only agreed to a meeting with relatives under pressure from the government. On January 4, 2013, relatives blocked Foxconn’s main gate and demanded justice for their daughter, but Foxconn continued to deny responsibility. 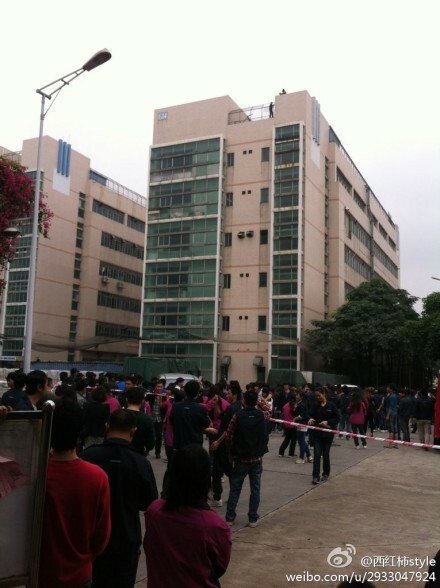 At 9am, a woman worker jumped from the top of the Longhua G4 building. At 11am, three more workers climbed to the top of the building. One online commentator claimed, “Foxconn has fewer orders, they’re using all kinds of methods to force workers to quit, so they jump.” According to the Huaxia Times, the company was forcing the workers to accept take long vacations and refusing to give them any overtime, such that workers’ wages were not making even 2000 yuan per month. As one worker understands it, this was a dirty method of forcing people to quit, of avoiding payment of compensation for firing people. At 5pm in the afternoon, a male worker jumped from the top of the Fukang Xincheng B4 dormitory, in view of a crowd of onlookers. The day he jumped was one day after pay day. As one online commentator reports, the deceased had been hoping to quit but his line leader wouldn’t approve it, so he decided to quit by skipping work for three days. He started to skip on the 9th, and had not yet skipped three days on the 10th, but his line leader reported him as already having quit and did not pay him his wages. 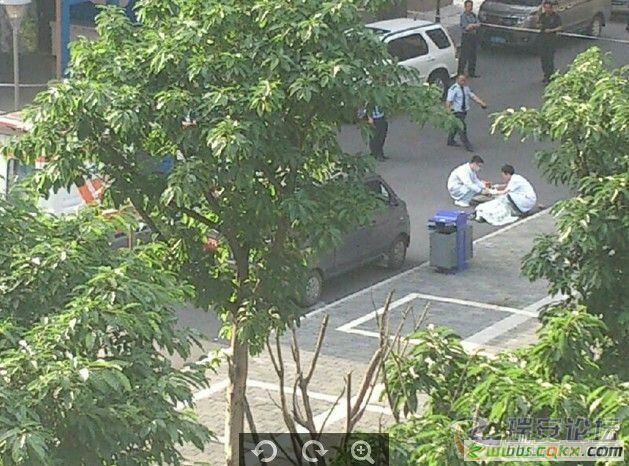 A male worker who had entered the factory half a month ago jumped from Yuhong Dormitories building number 5, dying on impact. He was 30 and married with a 5 year old child, from Quebi prefecture, Henan province. At 10am in the morning, a male worker climbed to the top of an 8 story high dormitory building and paced back and forth, making ready to jump. The police rushed to the scene and after four hours, managed to convince him to come down. Not 5 months after Chongqing’s May suicide, another worker jumped. He was sent to the hospital, but the rescue efforts failed. Other than commentary on the internet, there is little other information available on this case. Foxconn worker Liang Yongchao was discovered dead in his rented room. Liang had been working at Foxconn for half a year, in the logistics department. The police determined the death was not homicide, citing instead “personal acute illness causing death.” However, Liang’s family claims he has always been very healthy and has never had any problems. According to one fellow worker, Liang usually worked six days a week. His peak overtime was in October, when he worked nearly 90 hours of overtime. In September and December, he also worked large amounts of overtime. On the 24th, two days before his death, Liang requested personal leave, and on the 25th had a scheduled day off. At 5am in the morning, a male worker jumped from a building just inside Longhua Foxconn’s South Gate II, dying on impact. The deceased was 23, from Huanggang prefecture, Hubei province. 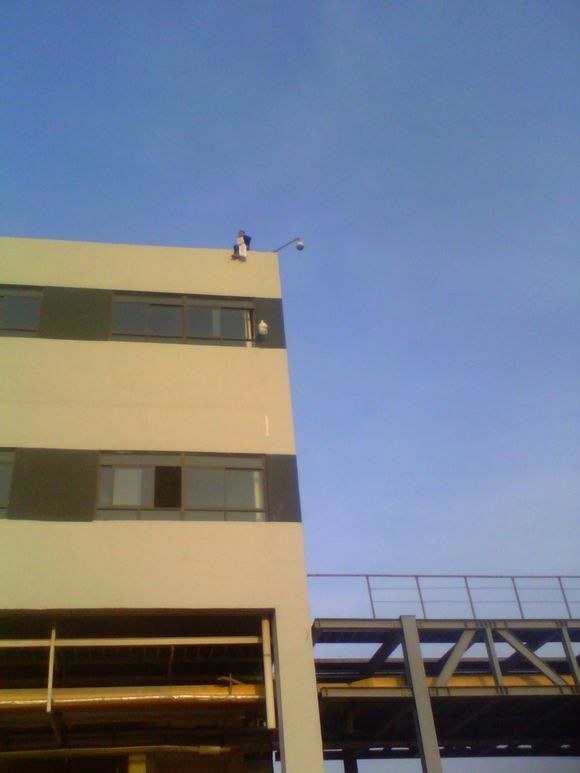 Zhengzhou Foxconn worker Li Fei climbed to the top of the B5 factory building at 7am in the morning, intending to jump. In November 2013, Li noticed he was getting headaches and hallucinations, and losing his hearing, so he went for a medical checkup. Li worked in a high noise, high radiation environment: his symptoms were clearly work related. Because Li was sick, Foxconn quickly moved to fire him. The company not only tried to evade its responsibility for occupational illness compensations by firing Li, it also refused Li’s departure compensation demands, pushing him towards considerations of suicide. 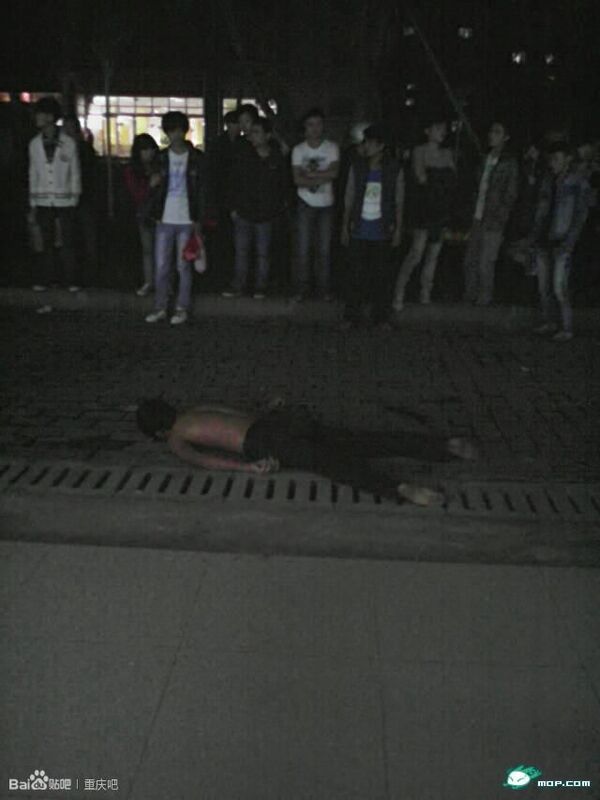 At 5am in the morning, an assembly line worker jumped from the Fukang Xincheng D06 dormitory building. According to one online commentator, this worker had been beaten the previous day by three other workers because he could not keep up with the work. After the incident, the line leader called the four people involved over to talk. The worker jumped the next morning. At the Fuhua dormitories, at approximately 8pm, several workers found a male a male dorm mate looking unwell and called the police. When EMTs arrived, a dormitory manager accompanied them to the dorm room, where after their examination they discovered there was no possibility of saving the worker. Workers debated online whether the man had died from overwork and whether excessive video gaming had played a role. 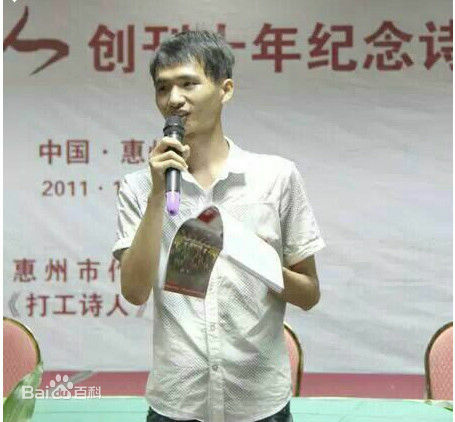 24 year old Xu Lizhi, a star student gifted with words since childhood，entered Foxconn in 2010. During his time at Foxconn, Xu never kept up writing poetry. He never stopped looking for a way out, but after each failure, eventually returned to Foxconn. On the 29th, the second day after a failure to find a new job and his return to Foxconn, Xu jumped from the 17th floor of the Meili AAA building, not far from Foxconn. 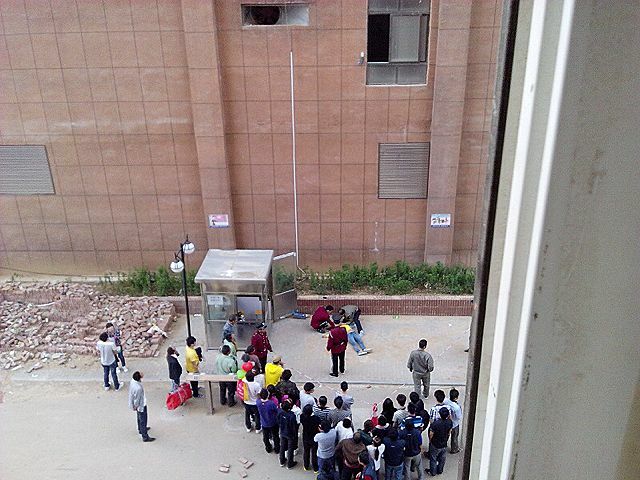 A female worker jumped from the fourth floor balcony of Zhengzhou Foxconn’s E5 cafeteria. Online commentators claim another male jumped too.